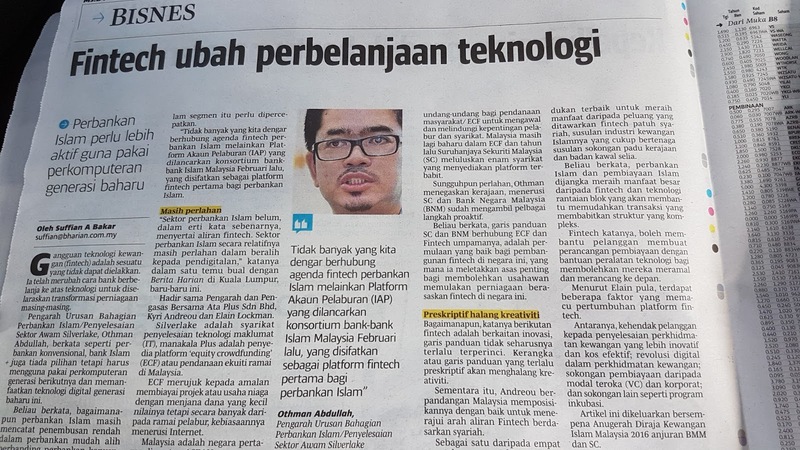 As part of the publicity for the Royal Award for Islamic Finance 2016, the media team organized an interview on Fintech in Islamic Finance. 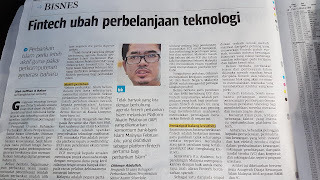 I was one of the interviewees besides Raja Teh Maimunah (the CEO of Hong Leong Islamic), Elain Lockman and Kyri Audreou (both are co-founders of Ataplus, an equity crowdfunding company). 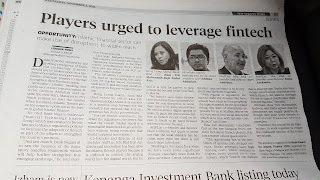 The interviewers are journalists from Business Times (News Straits Times), Berita Harian and Islamic Finance News (IFN). The Royal Award for Islamic Finance (The Royal Award) is a distinctive Award recognizing leaders and visionaries who inspire others to create a positive impact in the world through the shared values and principles of Islamic finance. The Award is presented by His Majesty, the King of Malaysia. 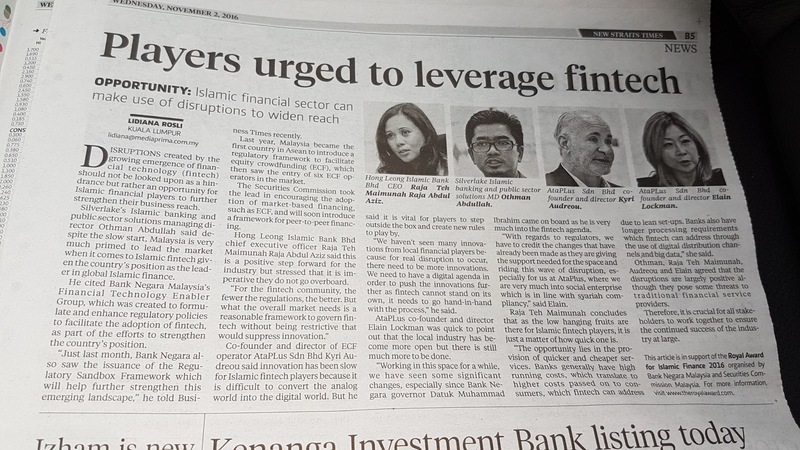 The biennial Royal Award initiative spearheaded by Bank Negara Malaysia and Securities Commission Malaysia recognizes individuals who have excelled in advancing Islamic finance globally through their contributions and achievements. THE Royal Award 2016 for Islamic financial services is conferred on Professor Datuk Rifaat Ahmed Abdel Karim by the Yang diPertuan Agong Tuanku Abdul Halim Mu'adzam Shah on the 14th November 2016 at a ceremony held at the Kuala Lumpur Convention Centre. The three previous recipients of the Royal Award were Datuk Dr Abdul Halim Ismail, founding member of Malaysia's first Islamic bank (2014); Iqbal Khan, CEO of Fajr Capital (2012); and Shaikh Saleh Abdullah Kamel, founder of the Dallah al Baraka Group, one of Middle East's largest conglomerates (2010).